Located in the Veneto region in the rich and flourishing countryside North of Treviso, the organic vineyards are situated on the plains and hillsides in this DOC area. The organic wine estate covers 58 hectares and also collaborates with neighboringproducers contributing another 48 hectares of organically grown grapes. The Pizzolato family has been working in the agricultural sector for more than five generations of farming history and tradition with a deep commitment to organic wine production. These are the strong roots of the Pizzolato family, upon which an entire philosophy was built. The path began in 1981, when Settimo Pizzolato joined the company alongside his father Gino. He progressively undertook production of Italian organic wines, among the first wine producers in Italy to do so. Thanks to his desire to maintain the balance of the countryside ecosystem and a commitment to fine organic wine production, in 1991 Settimo was able to obtain the official USDA organic certification. The resulting organic wines have a true taste of place, embodying the terroir on which they were born and a sense of family’s commitment to live and farm in harmony with nature. The winery was established in 1996 by Bruno Sartori and his two children Marco and Francesca. The name refers to the estate’s most prized vineyard ‘Roccolo Grassi’. The family set a goal to harvest quality grapes and to produce relatively low yields of exceptional wine. In total, the estate consists of 14 hectares of organically farmed vineyards spanning the regions of Valpolicella and Soave. Giuseppe Inama founded his family winery in the 1960’s when he used his savings to purchase small plots of vineyards in the heart of the Soave Classisico region. Giuseppe believed that he could make a wine capable of restoring Soave’s reputation by working with only top quality vineyards of old vine Garganega – Soave’s original grape. Giuseppe’s son Sefano, who joined the estate in 1992, is also considered a dynamic visionary of the region and expanded their production to include red wines from Colli Berici. Under Stefano’s leadership, the family continues to follow the goal “to produce wines whose only aim is to represent their vision of the land, despite the styles and trends of the moment”. Stefano adopted organic practices for the vineyards, allowing cover crops to grow and eliminating pesticides and herbicides. Bill and Teresa Hinrichs were looking for a place to retire and raise their twins, when they found Ranchita Canyon Vineyard. They wanted to stay busy during their retirement, although an established vineyard was a little bigger project than they planned. The property fit their criteria with hills, trees, ravines, and “character,” plus outstanding views from the hillside location. Bill and Teresa dove in head first, and have developed the property into a premium wine grape vineyard, with a new boutique winery focusing on small lot Estate Wines. 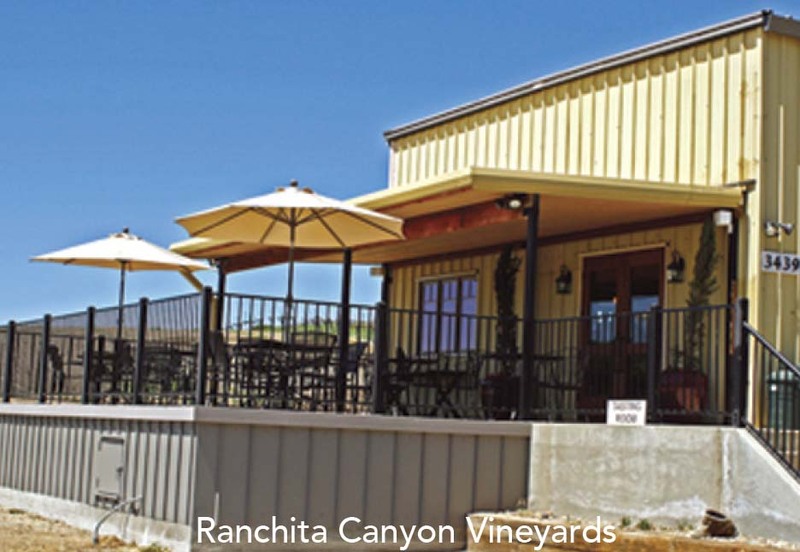 Ranchita Canyon Vineyard overlooks the beautiful Pleasant Valley, and the first vines were planted in about 1970. The Hinrichs family owns and operates the vineyard and winery with the goal to achieve rich, concentrated, bold fruit. They have south facing rolling hills at 1000’ to 1400’ elevation, with primarily chalky, calcareous soil — well known for producing premium wine grapes. They produce wines that display both true varietal characteristics and promote environmental stewardship. The wines are made from 100% organically grown grapes sourced from vineyards that practice sustainable agricultural methods. The Grenache featured this month comes from Carriage Vineyards in the Paso Robles AVA. A portion of the proceeds are donated to Ecology Action, a nonprofit promoting sustainable food production around the world. This winery was born in 2005 with the singular purpose of producing small batch, hand-made, ultra premium wines without compromise. We firmly believe our quest for quality and attention to detail pays off in the final product. In 2001 we began working towards this endeavor by producing four successive vintages from our garage. We have no release schedules to meet and no priorities other than making the very best wine. We release each vintage only when it’s optimal for the next stage in its life. This wine is 100% Pinot Grigio from certified organic grapes. It is fermented in stainless steel with indigenous yeast. It shows aromas of white spring flowers and honeyed green pear, and citrus notes. It has a soft entry but has a crisp clean finish. Great as an aperitif or pairs with vegetable dips and lightly seasoned fish dishes. Alcohol 12%. This wine is 50% Cabernet Sauvignon and 50% Merlot. This wine is best consumed young and is certified organic. It has no oak aging and is fermented with indigenous yeast. It shows notes of mocha, raspberry and a blast of tart cherry. It finishes with cocoa, spice and chalk. It will pair with most any dish or just as a sipper. Alcohol 12%. This wine is 75% Carmenere and 25% Merlot and fermented in stainless. It is then aged in second year French Oak barriques for 12 months. It is vivid ruby in color with a narrow purple rim. The nose finds black cherry, damson, cocoa, and violet. It has an elegant from palate with fresh acidity, firm integrated tannins and length. It will pair well with Italian salami, sopressa with Val Liona DOP ham, and grilled pork. Alcohol 13.5%. This wine is 60% Corvina, 15% Corvinone, 20% Rondinella, and 5% Croatina. It is fermented in stainless steel and aged in French Oak barrels and casks for 20 months and another 10 months in bottle. 50% of the grapes are fresh while the other 50% have been slightly dried for 20 days. Deep ruby red and hints of spiciness of tobacco and white pepper describe this wine. Hints of coffee, mineral, cherry and red berries find the nose. In the mouth it is fat, full bodied and soft. It pairs well with red meat and hearty cheeses. Alcohol 14.5%. This wine is 100% Raboso, with 70% of the grapes fresh and the other 30% made to dry on wooden casks for 90 days. It is aged for 36 months in barrels and barriques. It is a dark and intense garnet color with aromas of chocolate, blackberry jam, black cherry, and spicy notes of pepper and tobacco. Austere and very full bodied with a long aging becomes velvety. Suitable with succulent dishes, chocolate, and even by itself. Alcohol 14%. Venezia, a city built into the sea, is haunted by the princes and poets of its past and by centuries of tourists. The cities of Padova, Vicenza, and Verona, originally frontier posts on the Roman trade route between Venezia and Genova, grew into Renaissance splendor. Nature exhibits its own marvels, the Dolomite Mountains in the north, the Euganean hills in the south, vast Lake Garda in the east, and to the west, the Adriatic with its beaches and ports. 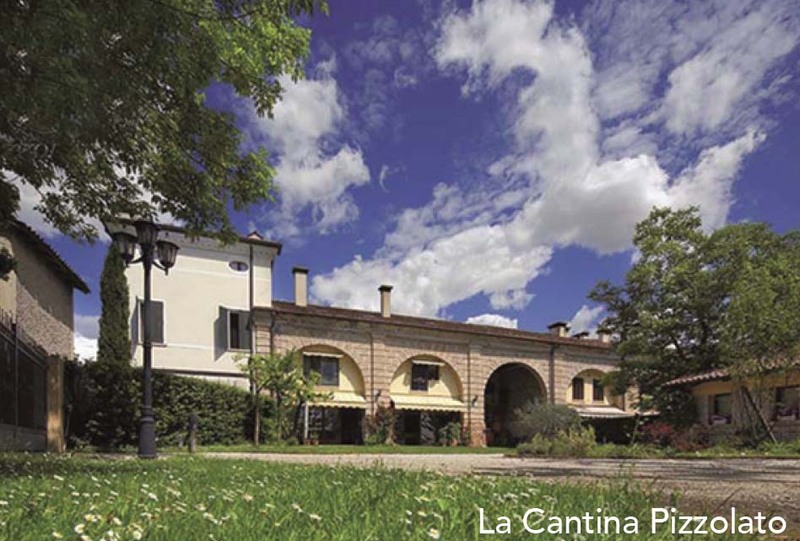 Today, Veneto is a thriving agricultural center, ranking first with classified DOC wines. There are three areas of premium production: the western province of Verona, the central hills, and the eastern plains. Verona is the leader in classified DOC wines, especially Soave, Bardolino, and Valpolicella, a blend of Corvina, Rondinella, and Molinara. When young, Valpolicella is a fruity red, but when the grapes are partly dried, they become Amarone, one of Italy’s most noble wines. Bardolino is made from the same grapes but is a lighter version. 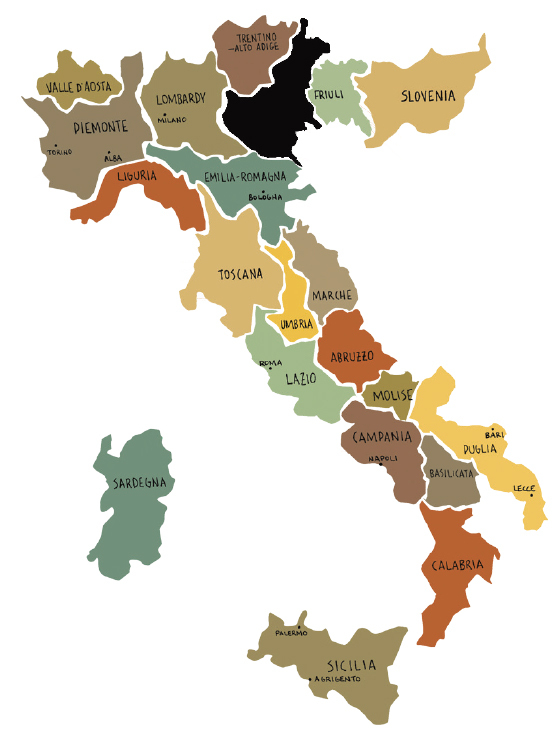 The central hills produce Soave, Tocai, the Pinots, Merlot, Cabernet, and sparkling Prosecco. The eastern plains have been dominated by Merlot and Cabernet Franc for decades. of fruit from Saralee’s Vineyard in the Russian River Valley. It is aged 16 months in new French Oak. It is buttery, heavy and smooth with a lingering mineral and almond finish. It will pair very well with most aperitif and seafood along with mild fish. Alcohol 14.4%. This wine is 100% Grenache Noir. The fruit is from the Carriage Vineyard in Paso Robles. It is aged in new and used French Oak barrels for 18 months. Aromas of dark berries, mineral and earth fill the nose while the palate finds baking spices, blackberries and mineral. Pairs with pork, poultry, and mild cheeses. Alcohol 14.4%. This wine is grown in Edna Valley. It is fermented in stainless steel for 26 days with no malolactic fermentation. It is vibrant & pure, with a slight salty characteristic. Wonderful aromatics and a round mouthfeel make this beautifully balanced wine a summer hit. It is somewhat crisp, and is an excellent aperitif and pairs well with most seafood. Only 61 cases produced. Alcohol 13.8%. This is an estate wine from vines planted in 2003. It is completely harvested by hand. 100% French Oak aged with toasted spirals added to soften tannins. It is a beautiful deeply colored wine with floral and fruit forward aromas. It is a true Cabernet Franc with flavors of blackberry, cassis, and some spice. It is surprisingly smooth and approachable. It pairs with roast chicken, pork, beef, lamb and cheeses. Only 49 cases produced. Alcohol 14.4%. This is an estate blend of 53% Petite Syrah & 47% Grenache. Harvested by hand, destemmed, cold soaked and aged in 100% French Oak with toasted spirals. It is a unique blend that was first introduced in 2005. It was so well received, it has become a staple in the Ranchita lineup. Nicknamed “Beauty & the Beast”, it combines light, delicate Grenache with the big, bold Petite Syrah. It is deep purple with vanilla and berry aromas. It has dark fruit flavors, well balanced and is full bodied. It should pair well with most grilled meats, pastas, and robust cheeses. Only 98 cases produced. Alcohol 14.5%. 2010 Old Vine Petite Syrah This wine is from estate fruit planted in 1970. It is harvested by hand with a 3 day pre and post fermentation cold soak. It is aged in 100% French Oak. It is delicious, complex, smooth, rich, and full bodied with fruitful aromas and has well rounded blackberry and cherry flavors. It has great texture and a lingering finish. This will pair with beef, pork, lamb and game. Only 129 cases produced. Alcohol 14.1%. This is a Bordeaux blend with 40% Cabernet Sauvignon, 20% Malbec, 15% Merlot, 15% Petit Verdot, and 10% Cabernet Franc. These are all estate grapes harvested by hand and 100% French Oak. This Bordeaux blend using all five varietals shows a nice smooth wine with bright flavors of cherry, currants, and a touch of dried herbs. It is complex with nice balance and a pleasant lasting finish. It should be decanted and hour or so. Only 110 cases produced. Alcohol 14.3%. Grapes were first introduced into the Paso Robles area, in 1797 by missionaries. They planted more than one thousand vines. Commercial wine growing, however, wasn’t started until the 1880s. 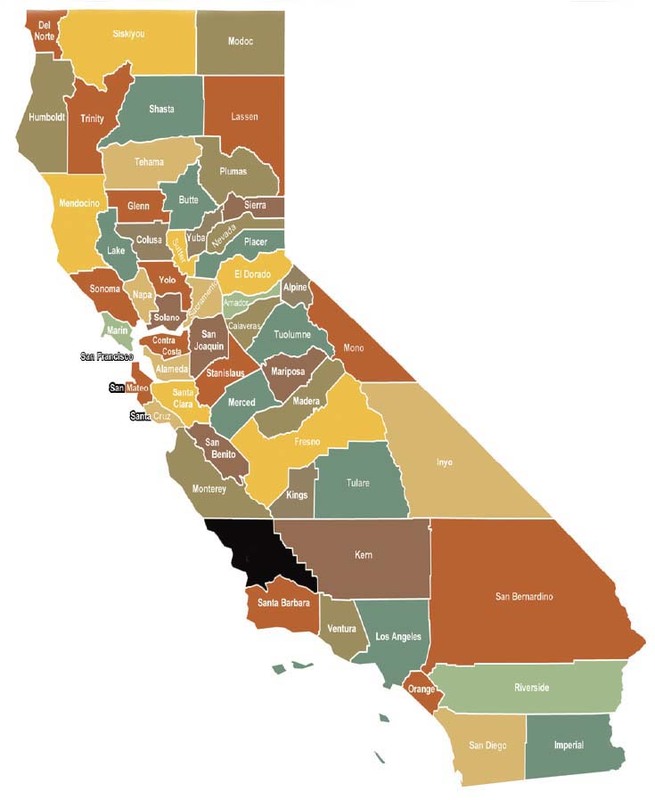 Since 1990, when there were fewer than 20 wineries in Paso Robles, a large expansion of activity has seen the number rise to more than 200 wineries today.The Paso Robles AVA is acknowledged for its heritage grape, Zinfandel, but has gained recognition from a wider range of grape varietals as well. In the 1950s and 1960s, growers began to plant Bordeaux varieties, particularly Cabernet Sauvignon. In the 1980s, there were increased plantings of many Rhône varieties, including the first Syrah planted in California, as well as Viognier and Roussanne. The emerging popularity of the region’s wines led it to become the first site of the annual “Hospice du Rhône” conference on Rhône style wine. Today, Paso Robles Wine Country is receiving attention for its unique blends. These wines are unique to the area, and with varietal make-ups that do not follow traditional rules and expectations of winemaking, as characteristic in other regions of the wine world. Husk corn and brush three of the ears with a coating of the olive oil (approximately 2 T). Cut the kernels off of the remaining ear of corn. Toss the kernels in a mixture of cilantro leaves, 2 T of oil, lime juice, cheese. Finish with Salt and pepper to taste. Grill the remaining three ears of corn until tender and a bit charred. Allow to cool and cut off the cob and add to the rest of the dish. Finish with the red peppers for color. Serves 4.